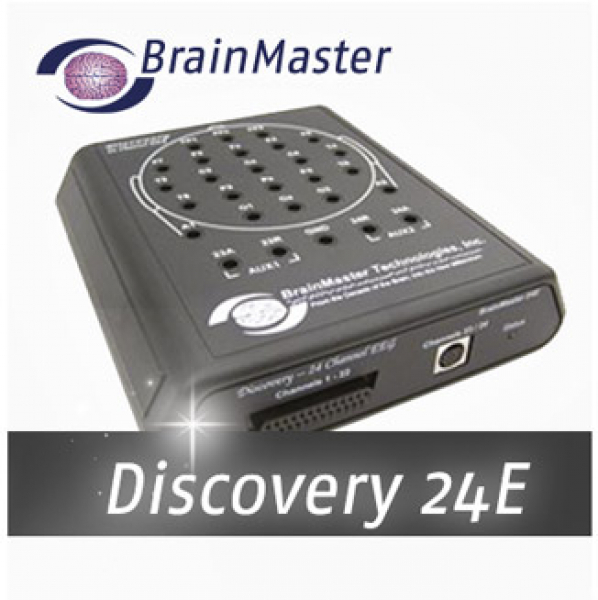 Discovery Training software provides DC and Slow Cortical Potential Training for up to to 24 channels of EEG. Supports one SKIN/EMG peripheral input for SCR, EMG, or respiratory effort biofeedback. 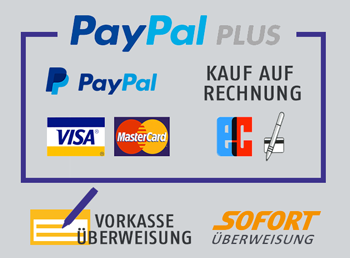 Also provides 4 virtual channels that operate in parallel with the existing 24 channels of EEG. Uses all existing Atlantis (3.5) control panels, and provides the full range of feedback capabilities. All training should be done with any number of sensors with or without a cap in place, and the user can use or create any BrainMaster protocols for feedback training using 1, 2, or 4 channel at present. BrainAvatar ™ for Discovery introduces all of the new BrainA- vatar ™ features incorporated in the Atlantis, plus a new set of 3D scalp maps, and a groundbreaking optional real-time Live sLORETA Projector (LLP). 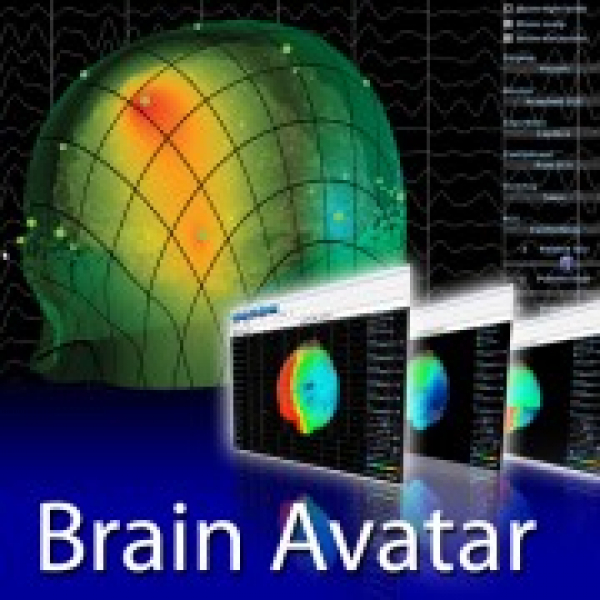 The basic BrainAvatar ™ Discovery Acquistion mod- ule provides up to 24 channels of EEG or peripheral data, plus the ability to review, edit, and mark records, with montage reformatting, including Laplacian, average, or infinite references. BrainAvatar ™ Training software is optional, and provides up to 24 channels of signal processing and training. Combine conventional training using power and connectivity measures with z-score train- ing. Live Z-Scores can be used with normative data, or with the new individualized Z-Builder approach. View 2-D and 3-D whole-head maps, plus our real-time The optional LLP Live sLORETA Projector is capable of 30 frames per second of live EEG localization imaging, providing a live movie (32 frames/second) of brain activity, with a delay of only 30 milliseconds from brain to display. The LLP introduces true real-time brain electrical mapping, taking neurofeedback fully into the realm of imaging. Change or difference mapping allows you to see changes in your clients over seconds, minutes, months, or years. The Brain's Avatar ™ training software offers up to 24 channels of signal processing and training. Combine your traditional training with amplitude and connectivity by means of Z-score training. Live Z-scores can be used with normative data, or the new individual Z-builder approach. With Brain Avatar for Discovery Real-time 3-D, it is now possible to obtain images of the brain activity using EEG measurement. The optional LLP live sLORETA projector is to calculate the position up to 30 frames per second a live EEG recording, creating a live film brain activity at 32 frames per second. All this with a delay of only 30 milliseconds from the brain to display. The greatest strength of this is the high temporal resolution, which plays a major role in neurofeedback. What's more, this form of recording, which means the live Loreta projection in real time is now possible directly in the field of imaging techniques and is comparable with the known functional magnetic resonance imaging.